If we can help you please let us know. God Does Not Need Help, Just Our Obedience! God does not need assistance through our own concocted good ideas rather than by the voice of His Spirit. 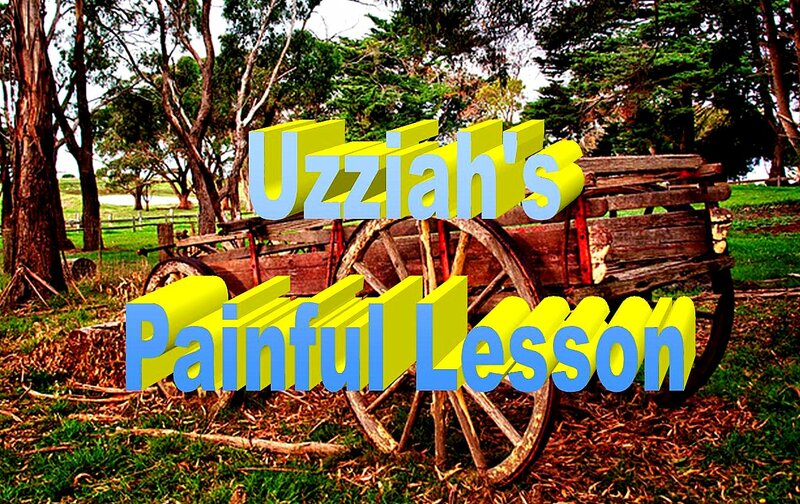 Look no further than the story of Uzzah. 2 Samuel 6:3 And they put the ark of God on a new cart and took it out of the house of Abinadab which was on the hill: and Uzzah and Ahio, the sons of Abinadab, were the drivers of the cart. 4 And Uzzah went by the side of the ark, while Ahio went before it. 5 And David and all the men of Israel made melody before the Lord with all their power, with songs and with corded instruments and instruments of brass. 6 And when they came to Nacon’s grain-floor, Uzzah put his hand on the ark of God to keep it safe in its place, for the oxen were out of control. 7 And the wrath of the Lord, burning against Uzzah, sent destruction on him because he had put his hand on the ark, and death came to him there by the ark of God. King David had assigned Uzzah to facilitate the transporting of the Ark of God back to Israel, after its release from enemy hands. There came a point in the journey when the ark began to fall from the cart probably due to a treacherous road which caused the oxen to freak out. Uzzah reacted in human haste and wisdom to help the Ark from tumbling to the ground. God immediately struck him dead! Was God cruel? Absolutely not! God did this to protect His character, His nature, and laws. Isa 48:11 For myself, even because of my name, I will do it; for I will not let my name be shamed; and my glory I will not give to another. Human flesh cannot touch God’s glory and live. Don’t touch God’s glory, rather follow it. Luke 5:5 And Simon, answering, said, Master, we were working all night and we took nothing: but at your word I will let down the nets. In verse five, the word, word, is rhema, which is the word produced by the voice of God’s Spirit. God does not need help through our own concocted good ideas or agendas rather than by the voice of His Spirit. When the church moves by the rhema word, she will see great fruit. Until she does, she will continue to plant much and harvest little. What is no birthed from the Spirit of God only gets His temporary blessing. If we want His enduring blessing it will only come through what He dictates through His voice, not ours. The energy of God increases or decreases in proportion to how closely or distant we do things from His will. I call this God’s Quantum Law of Energy. Mt 24:35 Heaven and earth will come to an end, but my words will not come to an end. Only His word spoken from His Spirit endures forever, not our fleshly plans. 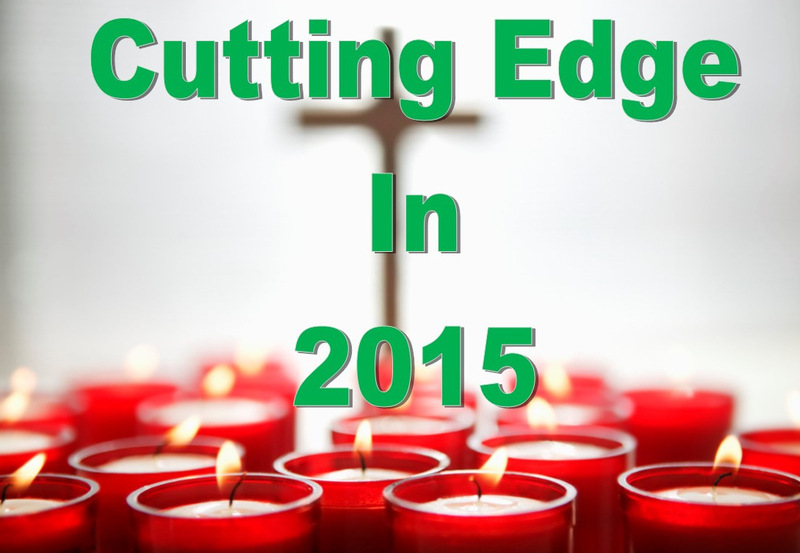 In 2015 the church needs much more of God’s Spirit and much less of her good ideas. Shalom! Flesh cannot touch God and live. This is why God has passed a verdict and condemned our flesh to die. There is no hope for it, is in cancer stricken and it must go. God commands everything in regards to our relationship to Him, to die and be resurrected. Anything that is left of our flesh will only produce death and will hinder God’s work through us. Even our best-intentioned church programs and plans must all be taken through the cross of Christ, death and resurrection. Thirteen Ways to Bring The Church Into 2015. The church must excel in networking and communicating socially. The world is on Facebook. We pray for people, post events, set up trips, and write teachings all over the world. There must be some within the local church with social media skills to promote their church. The church is for the most part very poorly connected. There is no more powerful institution on the earth as local churches when they work together as the Body of Christ to display the Kingdom of God in the Person of the Resurrected Christ. The local church suffers from a malady called (TMS). This stands for Tribal Mentality Syndrome. Most local bodies are disconnected from other churches in the same community. The local church is busily promoting its local body and vision within her walls. It’s an entrenched “my church”, tribal mentality. One of the globe’s most daunting jobs is to bring pastors to unite under a common God given strategy within their community to bring revival. This is a very sad statement. Jesus Christ has not called the local church to primarily be tribal, but kingdom minded. Within a vision for the individual church, there must be a greater kingdom vision adopted by churches within a community to effect a revival. If for nothing else, a local church must become a super connector with other community churches. What if churches became super connectors with other churches within the state where they are at? Churches finding out how they can help each other and meet each others deficiencies. How would the kingdom of God look? Could revival come? The church must excel in three areas of teaching. Apostolic and foundational teachings on NT church structure for the effective functioning of the local church. A house can’t be built without foundations. The foundation of any church is the revealed Person of Christ who directs a local church what to do. Identity teachings on who the Christian is in Christ via His identity. How to Teachings? How to hear God, how to minister, etc. Teachings which will offer the church usable tools that she can implement effectively and immediately for the glory of God. Senior pastors must delegate duties and be freed up so that they can identify, pour into, and raise up their potential leaders. One leader can influence thousands of people. It’s more boring inside the church than in the market place. I believe that Christians are generally bored with each other when they only fellowship among themselves and have little contact with their non church neighbors. Christians relating only among themselves is an unreality. The reality of Christianity demands both Christian and non-Christian relationships. The church must become acclimated to the market place. The reason why we Christians get so freaked out in the market place is that we are too acclimated to church weather. We step into market place weather and can’t handle its bite. We, the church, need “market place weatherization. “Can you imagine staying in church weather the rest of your life? The church needs a change of weather. Why don’t you begin by committing two hours a week to non-church market place weather? Don preach, just be you, and soak in the new weather. 1Co 14:26 what is it then, brothers? Whenever you come together, each of you has a song, has a teaching, has a tongue, has a revelation, and has an interpretation. Let all things be done for edification. One of the most powerful services I’ve attended was when the pastor did not preach but had an open microphone. Many came forward that Sunday to minister, and I received tons. The ministry of the body is usually much more effective than the ministry of one man. Even when I am in charge of a meeting I will immediately call my team forward to help me in prayer. I can’t stand to make people wait to be prayed for half an hour because I have need to be “The Minister In Charge.” The same Holy Spirit in me is the same Holy Spirit in the other person. If people still want prayer from me I make myself available. Words of knowledge after the announcements. I learned this from Todd Bentley. After the worship, probably after the announcements, but before the sermon, release several words of knowledge that will activate the spirit of faith which will persist for the rest of the service. The church gets a D in hospitality. I attended a five star hotel for a family reunion. What made it five stars was its exceptional skills in hospitality. Local churches must offer short courses in hospitality training. Any church which excels in hospitality to visitors will grow in numbers. Guaranteed! I am tired of Bible seminars and conferences with outside speakers. The church is the only entity which makes this mistake. Successful companies promote people to new positions from within. Churches have tons of amazingly gifted people who are never promoted because outside speakers are brought in. Let your seminars and conferences come primarily from within. You will see your church vastly mature. The church must get away from the model of making people go through tons of training before they are given a chance to minister. This is the dinosaur system in a rapidly fluctuating world. This is why churches are not growing. People are hungry to experience and minister in the power of the Holy Spirit. I look for spiritually hunger people whom I know and I bring them up to shadow me when I minister. These people do an awesome job. Nothing is as effective as hands on ministry. It’s a mistake to segregate adults, young adults and children in a service. Yes, I understand that the sermon will be boring for a youth or a child, but ministry time must incorporate all three. We are not three bodies, but one. God is moving more in the world with young people than with adults. 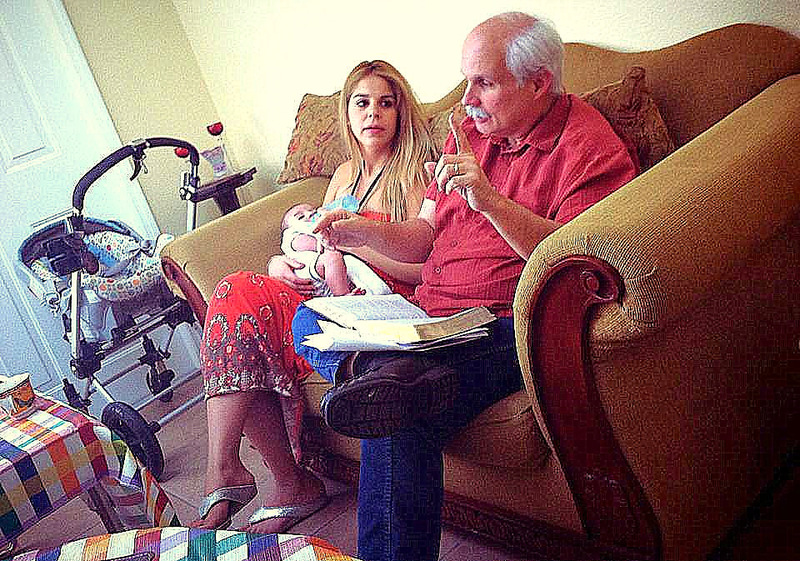 At Bethel Church in Redding, California, every prophecy team had a child. They were “off the charts” in their ministry. It’s a religious spirit to have this kind of segregation and part of the dinosaur system which is not working today. The church need to train more catchers. Catching when people fall in the Spirit is a huge ministry. I’ve seen catchers receive the anointing that they catch in, learn how to minister and become effective ministers through their catching. When the Spirit is moving, many times we have women, who are the hungry ones, catching for us. This is very unfortunate. 12The Church wants revival but she is not ready to steward it. If one visitor can so easily fall through the cracks on a Sunday what happens when addicts and broken people show at the church’s doorsteps? Can she, or will she pray the price to minister to these ones? The answer is no. 13 And as a freebie my four golden questions. 1 What can I commercialize with my spiritual gifting that will make money and that will bring God glory?Wisdom comes from God. Wisdom is taking accumulated knowledge which sits passively by and making it into something so usable that it can be commercialized. What can you commercialize in your life? EW Kenyon. 2 If this was my last day on earth, what would I impart to it? Then live every day like this. 3 What can I create and design on earth? In my case, it’s for God’s glory. As Seth Godin says, the earth is filled with copy editors. Few design and create. 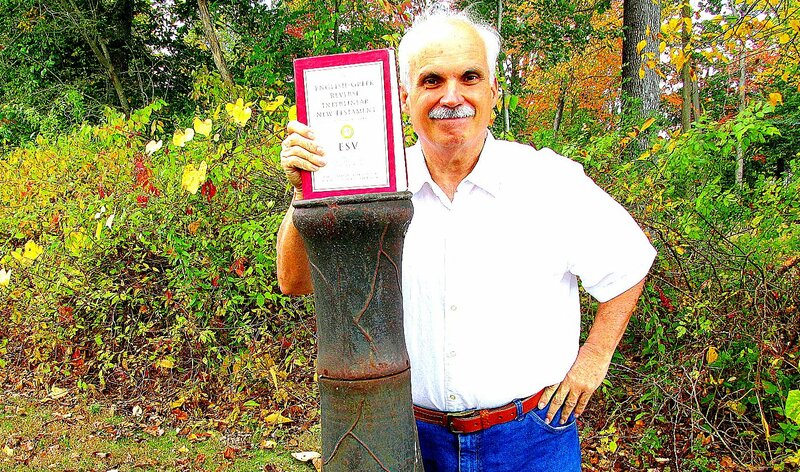 Are you a creator or a copy editor? God is the former. 4 Strive in everything that I do to make it usable for others. Ninety percent of things on earth are non-usable. The $10.00 How To Minister in the Holy Spirit Seminar? Please RSVP if you are coming to the How to Minister in the Holy Spirit seminar in Miami so that we can have enough food and chairs on hand!! These are my Google Doc’s “Teachers Notes” for this Saturday’s fantastic, “How to Minister in the Holy Spirit” seminar in Miami. These are the notes that I will be using. Its 26 pages of materials. You certainly don’t have to print them, but they are chalk full of materials that I have studied on the ministry of the Holy Spirit in the last 36 years. If you are coming to the seminar you will be able to follow and jot down stuff. The link is below. If you are not coming you are still welcomed to download and print them. Jesus said, freely you received, freely give. Please RSVP if you are coming to the How to Minister in the Holy Spirit seminar in Miami so that we can have enough food and chairs on hand.!! WE CREATE A “TAILOR MADE” SEMINAR from the resources at the following link, or from one of the five seminars which we do. You host it at your home or church with your friends. The cost is $10.00 for them and free for you. They are instructional and lots of fun. Please contact me. This is for South Florida residents!